Signed and dated right edge verso, pencil "... '97... A.Gursky". Jean-Francois Chevrier, Why photography matters as art as never before , 'Tableau Form; Thomas Ruff, Andreas Gursky, Luc Dleahaye', pg. 143-190, 2008. 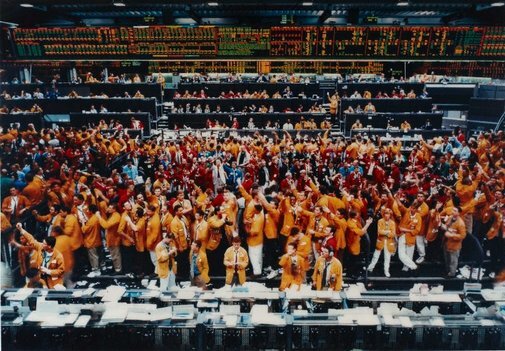 Reinhard Spieler, Andreas Gursky: architecture , 'Global trade as archaic battle ritual: Chicago Board of Trade II, 1999', pg.58-61, 2008. Journey to now: John Kaldor art projects and collection , Adelaide, 2003, 30 (colour illus. ), 60. John Kaldor family collection: Art Gallery of New South Wales , Sydney, 2011, 236, 242-43 (colour illus.). Andreas Gursky: photographs from 1984 to the present , 2000, (colour illus.). Andreas Gursky , 1998, cover (colour illus.). Images / Andreas Gursky , 1995, (colour illus.). 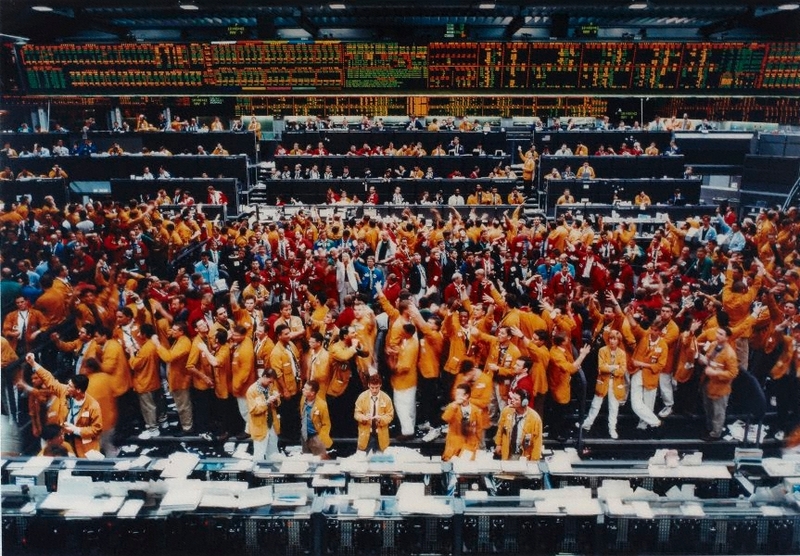 Andreas Gursky , 2001, (colour illus.). Andreas Gursky works 80-08 , 2008, 155 (colour illus. ).